Generally a Smartphone is used for communication, playing games or staying in touch with the friends and families via social networks. But every other user wants its Smartphone to be a little different. Because of that reason developers are on a track to make your Smartphones a news station or music station. 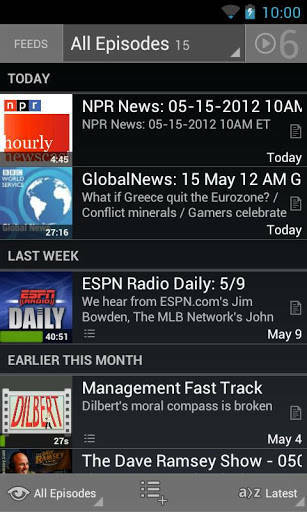 Just think of an App that can have the things that interest you most like listening to radio or news. 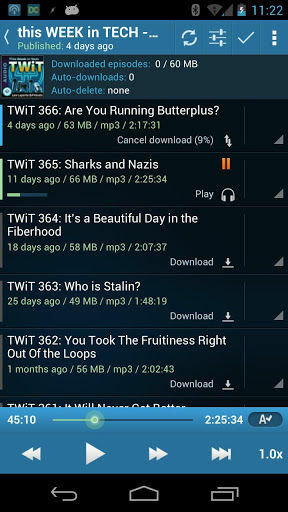 Here are the Top 5 Podcast Apps for your Smartphone. If you are a unique person and want to have your Apps look in the best manner then this App is just for you. And guess what it looks fabulous. In order to podcast in an easier manner the UI is designed in a user friendly manner. The App is basic but the features are not so basic. You can expect all the features that you could think of. But as the technology is developing I could not see much development in its features, but I do believe that there are people or so called developers who are working hard to add more features. And once it is upgraded you will see a new looking and even better features to offer. If you don’t wanna spend money on premium Apps then Feed+ News & Podcast Reader is the one which is made available only for you free of cost. After initiating it has a slightly difficult menu only in some part of the App but once you get started you will get to know it better. 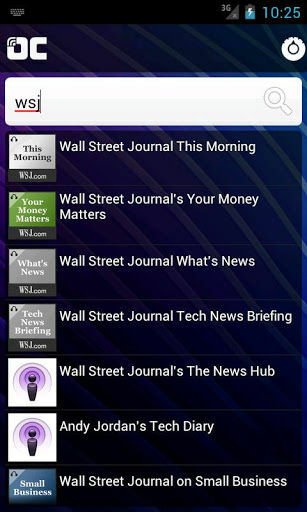 With this App you can add your Google Reader feeds, add custom feeds. This App is quite fast in downloading but it takes a little time when it comes to downloading of images. The only draw back of this App is that it doesn’t have a pre built video player. But you can use other video players to watch videos. This App is free of cost so there’s no harm in trying it out once. The slogan of Pocket Casts App is “Podcast listening finally made easier”. But according to me it is not true as the Graphics of this App are also amazing. The UI of this App works like butter and it is very easy to navigate and it is considerably fast too. Unlike other Apps which need to update their feeds and waste time, in this App it is done on the app’s servers which makes it faster. It combines all the features that a podcast App is supposed to have and at a very reasonable price of just $3. With this low price I bet you cannot find any other better App with these many features and performance. A podcast app can be said as a one great App only if it has multi features like integrating with other services such as Google Reader, with a capability to add new feeds, managing existing feeds and a smoothest UI to navigate all the way. And the award goes to DoggCatcher podcast App for all the above and that makes it one of the best. But a little sour news is that this App is not free and you gotta pay in order to enjoy all the features. So I personally suggest if you are in a hunt of a podcast App that has all the features in one place then you must go for this App. 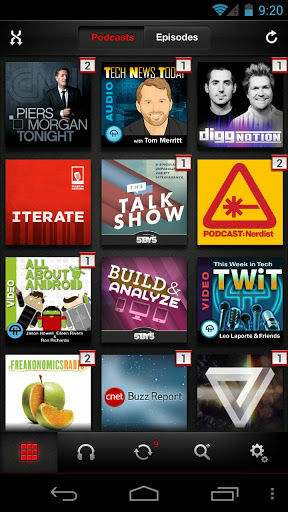 This podcast App is last in the list but not the least. If you are looking for some of the best features in a podcast App then BeyondPod App is to go for. It has the most amazing UI with user friendly features. Other podcast apps have some bugs or issues but not with this App. The processing of this podcast App is really very fast and it doesn’t make any error or mistake. 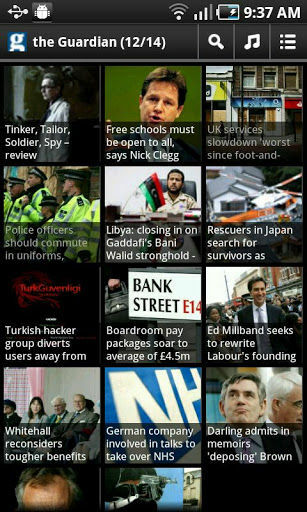 You have a custom feature that allows you to add Google Reader feeds or add your own feeds. You can buy this App for only $8 and you can try a trial version for 7 days to work it out. After downloading and using these Apps you can always provide us your valuable feedback in our comment section and share your experience with us.